Regardless of their relentless efforts, brands across industries suffer from churn problems in today’s competitive world. 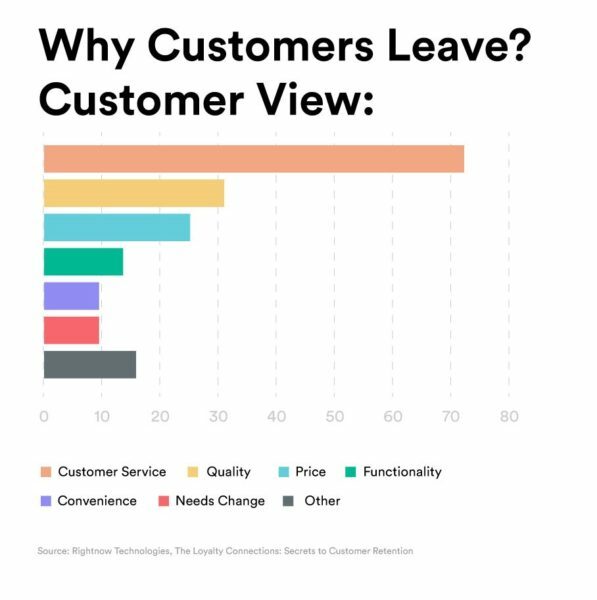 As shown in the image below, one of the major reasons why customers leave the company turns out to be poor customer service. What is wrong with customer service today? According to research by SQM Group, 86% of customers expect their issue to be resolved on the first call, which isn’t happening. Each time a customer has to call back because their prior issue was not resolved, customer satisfaction drops, on average, 15%. The never-ending IVR menus, ridiculously long response times, and multiple transfers are some of the typical events adding to customer effort. However, when customers are complaining about customer service, it may not necessarily mean poor agent performance alone. It is the overall experience the customers have had till that point which has disappointed them so much that they decided to cancel. The biggest mistake companies repeatedly do is, underline their retention efforts towards the end of a customer’s journey. But what companies fail to understand is that customers don’t decide to cancel overnight. Churn happens due to a series of poor customer care interactions, multiple substandard experiences, and counter offers from the competition; which together drive the customer to lose interest in the company. Today most of the retention measures are reactive in nature as the visibility to churn root causes are limited. 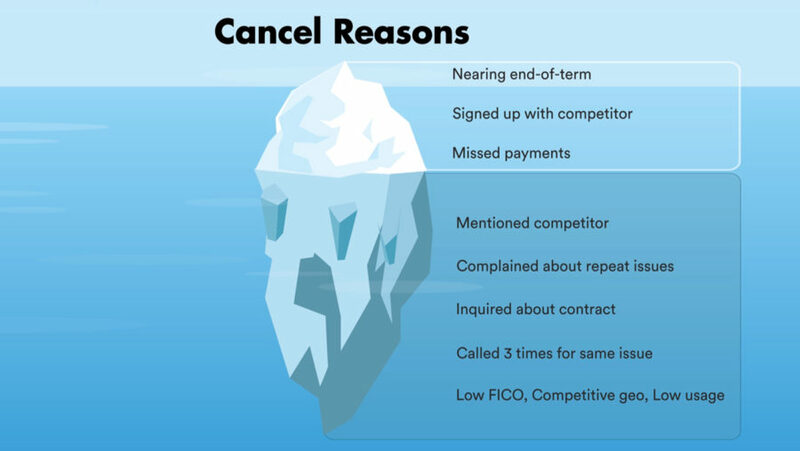 What companies see and perceive as churn reasons are just the tip of the iceberg and the real reasons for cancellations stay hidden, as companies, most of the time, don’t have the necessary capabilities to understand the root causes of customer dissatisfaction. By the time companies intervene, it’s too late. What follows is a high cost and high effort marketing campaign involving costly offerings and discounts, however, they don’t mean much to a frustrated customer, who has already decided to cancel. Customers do inform companies about their wants, needs, and wishes during their interactions across various touchpoints with the company. Also, these needs and wishes would vary from customer to customer depending on their current customer lifecycle stage. Companies must start using call center data like agent notes to understand their customers’ wants, needs, and wishes. Companies must also start using the call center channel as an effective way to proactively reach out to their customers to solve their issues and mitigate churn effectively.